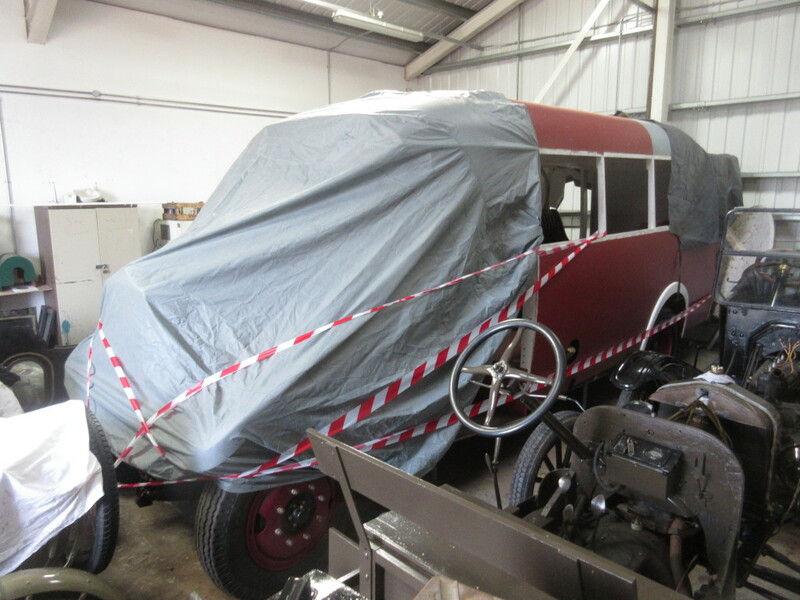 Below: The Leyland Cub access bus project is presently on hold, with the bus stored in the RHEC pending a review of the programme to bring the project to fruition. This is the last we’ll report on this for a few months now, though I hope to bring further news on the project later in the year. 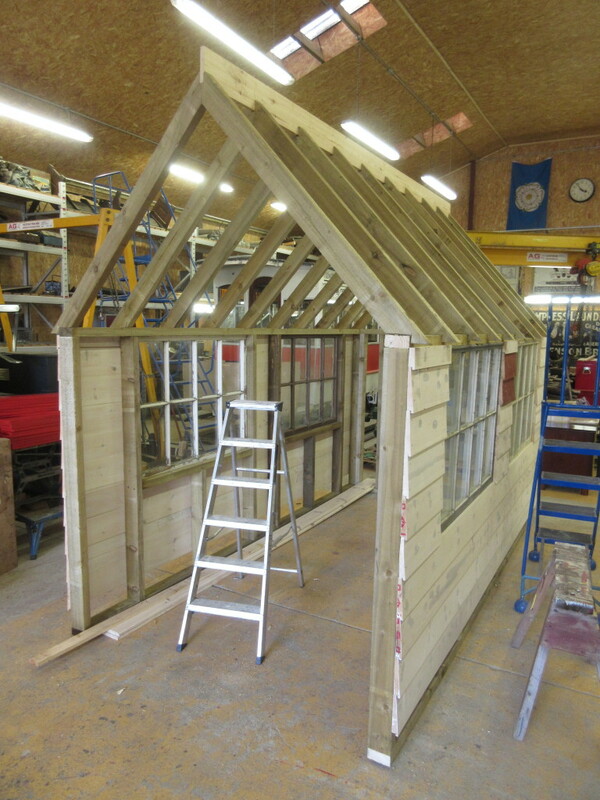 Below: In order to place Samson on display when not in use, Tony is constructing a small loco shed (or ‘hutch’!) 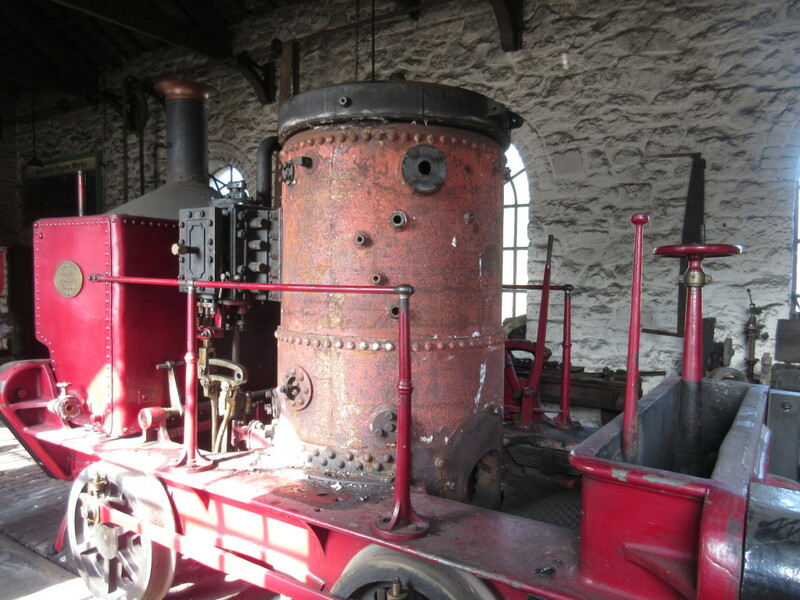 to be located in the area adjacent to the Colliery boilerhouse were are carrying out a number of improvements to make this the focal point of various engagement activities including the present blacksmithing and proposed sawbench. 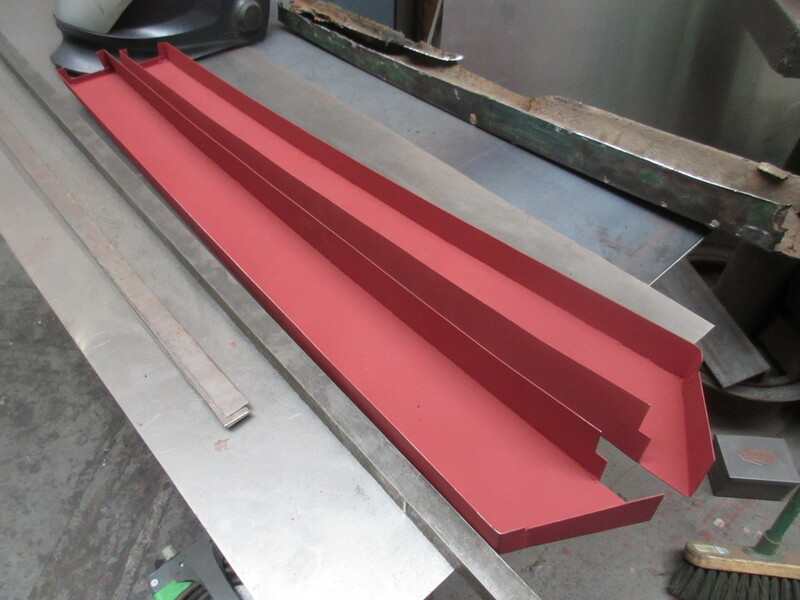 Some track and groundwork preparation has been carried out and the new siding will be made from our remaining stocks of Hudson Jubilee pre-assembled panels of track, extending to include an ash-tip siding as well. 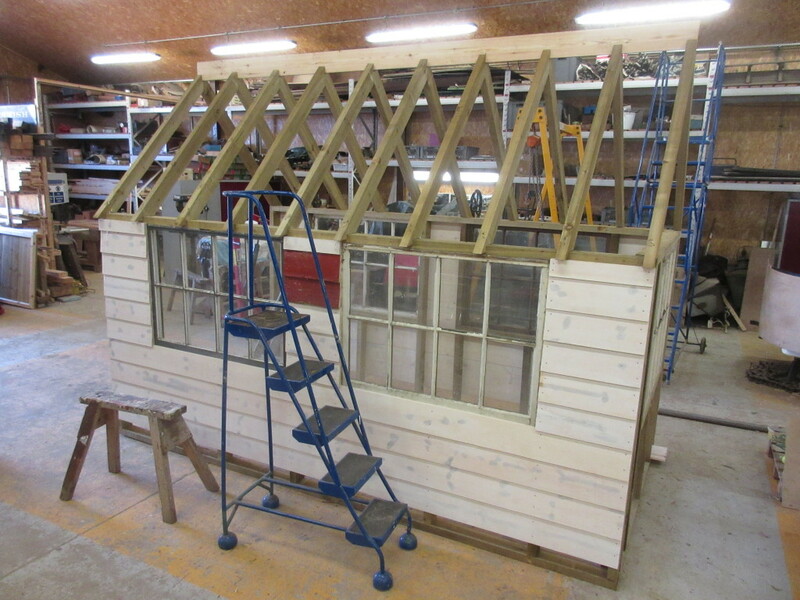 The ‘hutch’ has been entirely assembled using scrap or spare material, including the window panels from scrapped sash windows. The roof will be pantiled, again using material that we have on site. 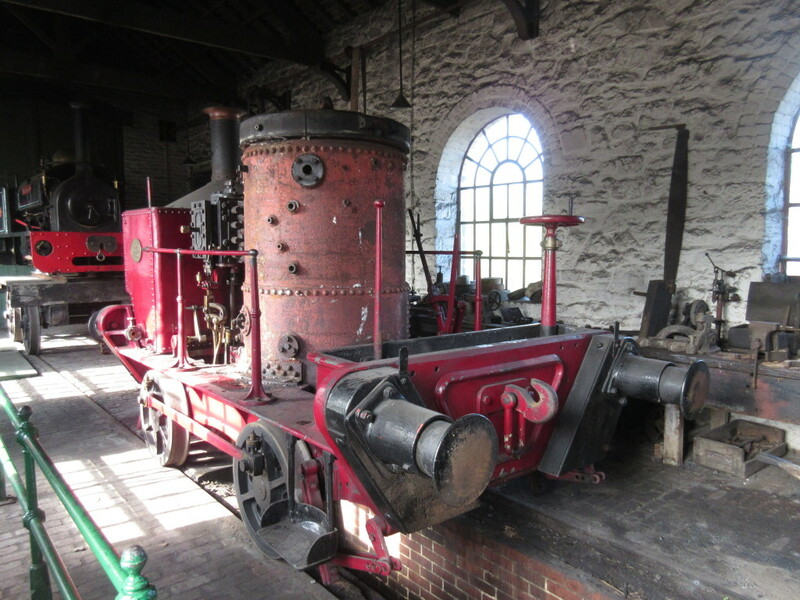 The aim is to ensure that the engine is on display and on fine days can be pushed outside for visitors to view, when not in steam. 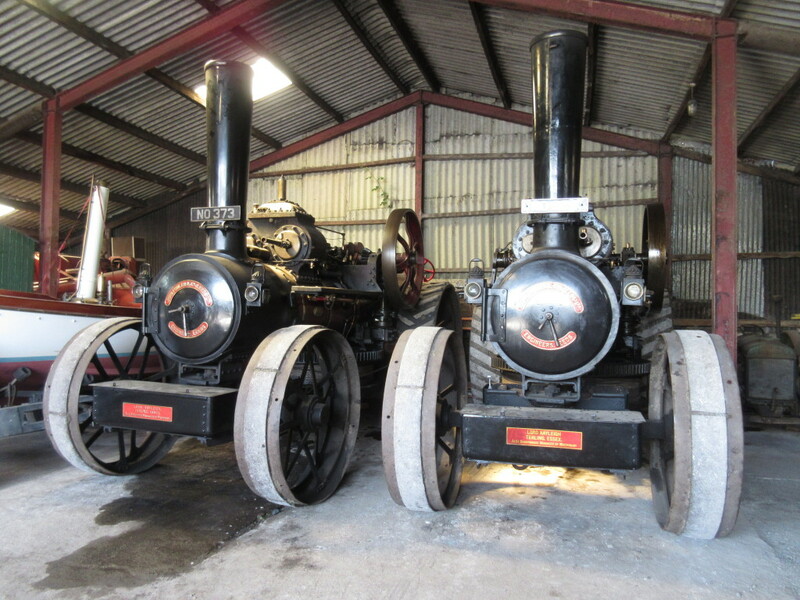 The future completion of the narrow gauge stone engine shed (located over the pit) is some way off – unless there are any volunteer stone masons out there who would like to join us???!!! 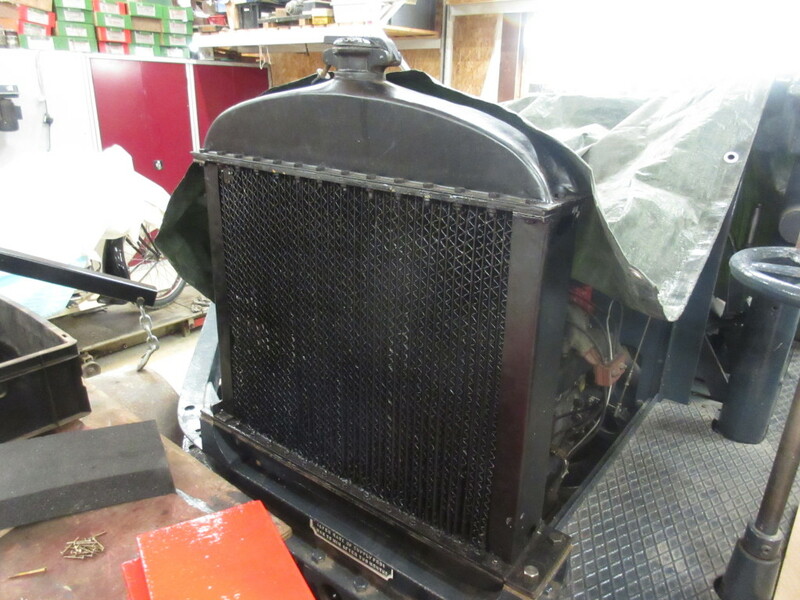 Below: Chris has been busy fabricating the complex box sections to replace the sills on the Fordson pick-up. The originals are so rotten that there is very little left to repair. The van is a classic example of paint hiding a multitude of sins, as the door frames are in a similar state and so Chris is fabricating new frames including the rain channel (also non-existent in most places). 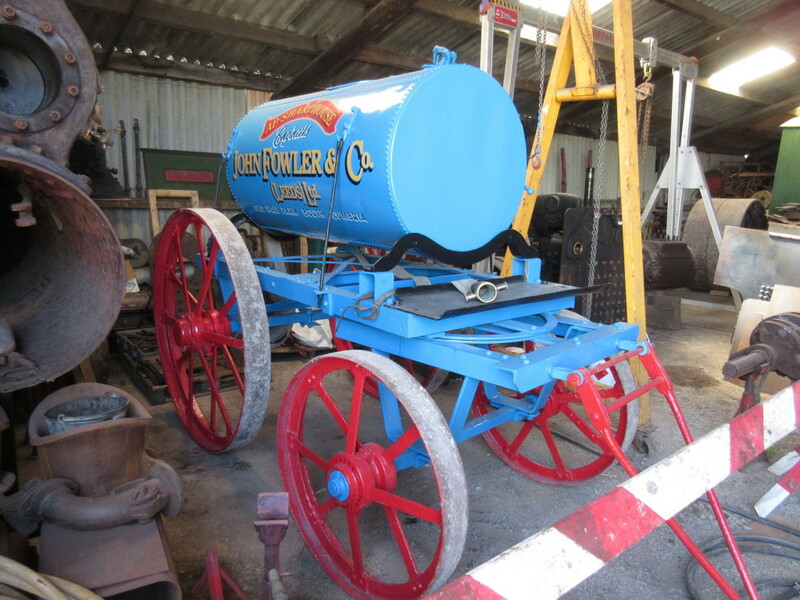 There are also some repairs of dubious provenance that have appeared where the paint has been removed from the bodywork and so these areas are also subject to replacement. The wings are truly awful and now they have had the filler and paint removed have shown just how bad they were and how poorly repaired they were. Some structural repair will be needed, but it will be out with the filler once again to restore them to their intended appearance. 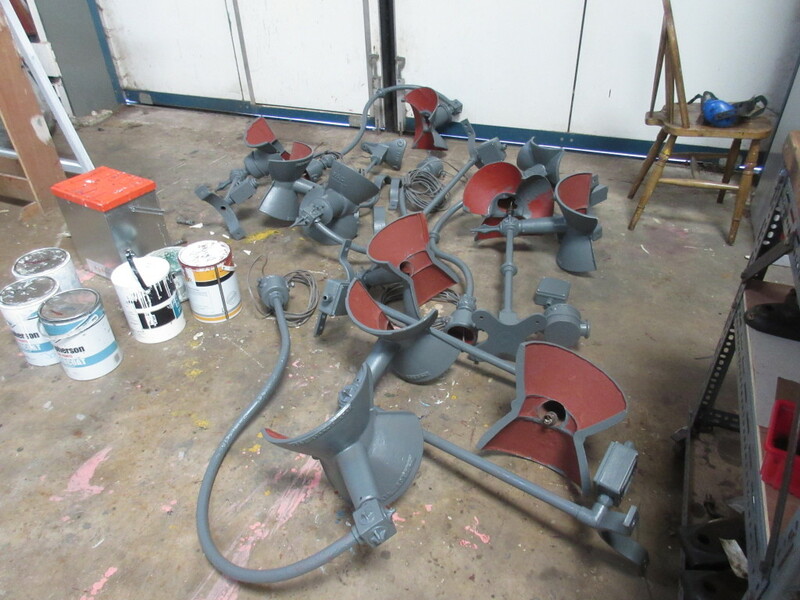 All time-consuming work and it keeps a vehicle out of action that is vital to the daily servicing of the site. 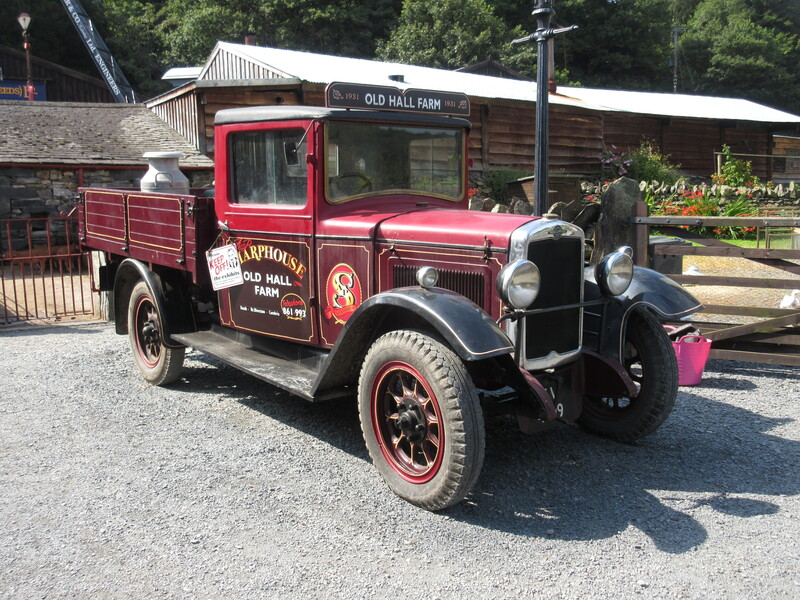 We have only had the Fordson for a few years, but hopefully this work will give it longer working future than it might otherwise have expected. 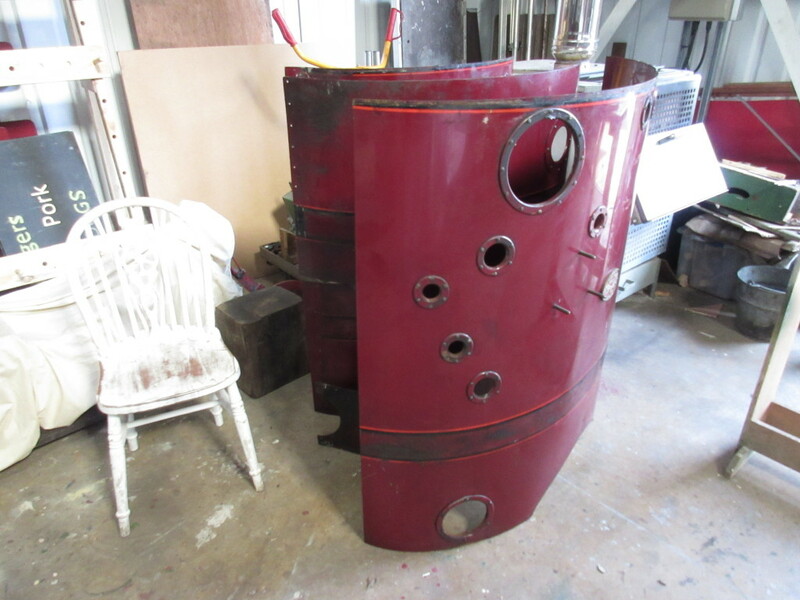 Below: Coffee Pot was stripped on Monday in readiness for a boiler-lift. The boiler will be dispatched to the Severn Valley Railway shortly for re-tubing, Meanwhile some work to the bottom end can take place (including steam cleaning several years inaccessible grease and oil!). I think the cladding sheets may also be treated to some attention, though they are rather unwieldy things for rubbing down and painting! Below: Coffee Pot No.1 bereft of fittings, lagging and cladding. The whole thing is to be lifted out, complete with the engine unit which can remain attached to it. 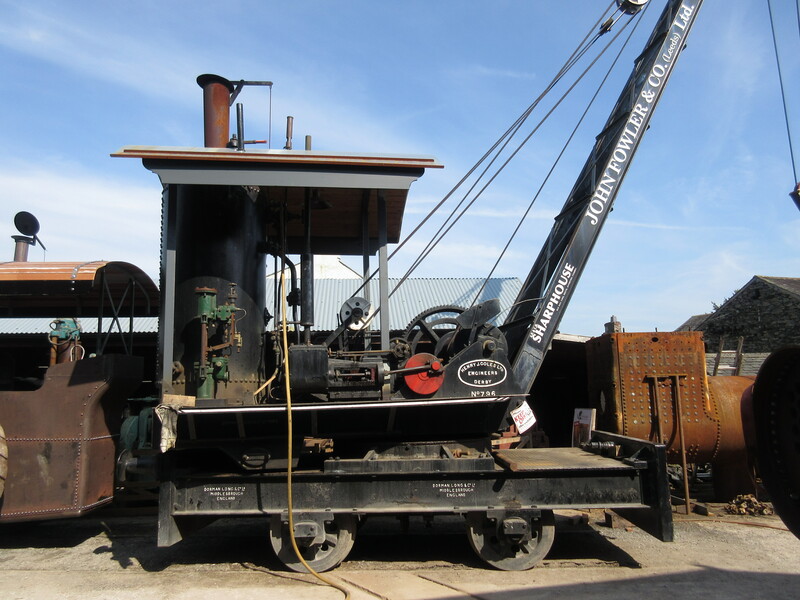 Below: Finally, some readers may recall the transfer of the Coles steam crane that used to stand outside the tram depot to the Old Hall Farm Museum in the Lake District. 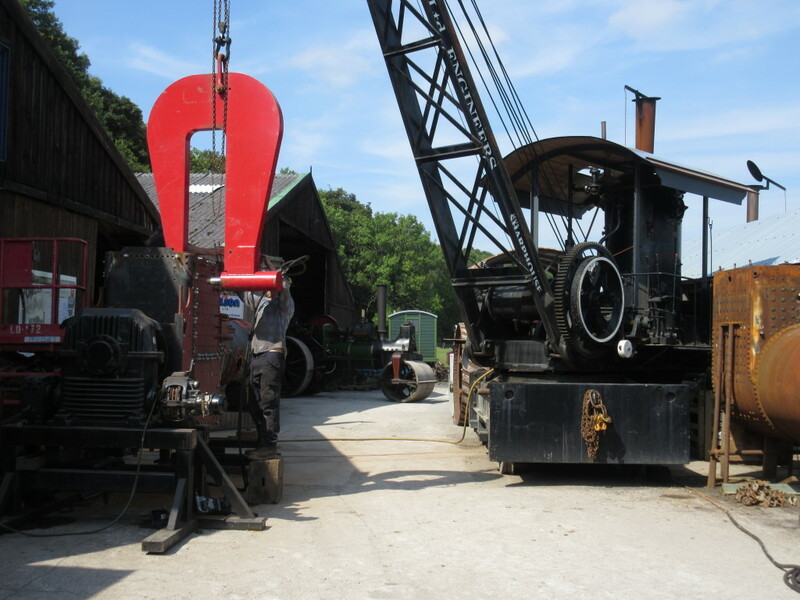 The crane has been overhauled and returned to steam, though can run on air. 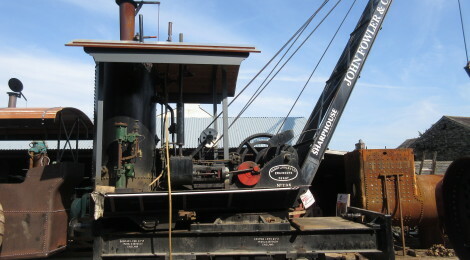 It is now in near-daily use at the workshops of the museum, seen here holding a hydraulic rivet sqeezer engaged on boiler work. 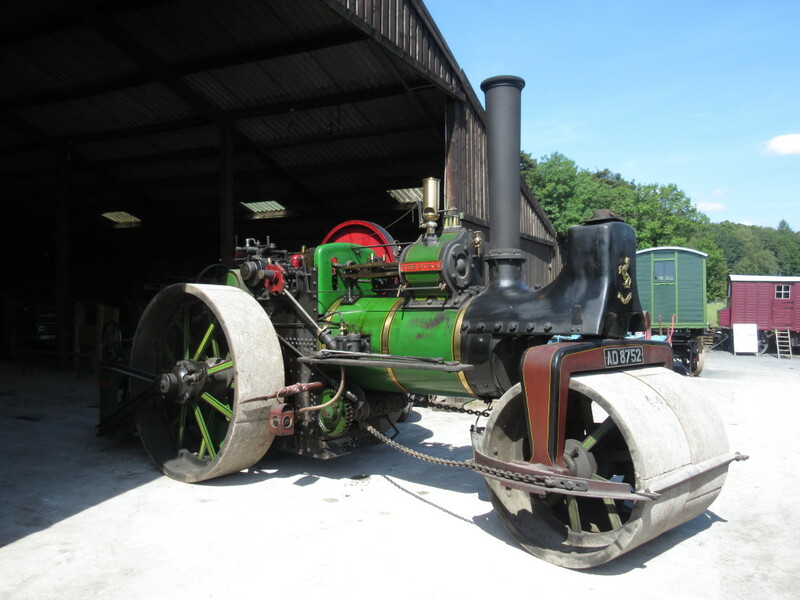 There are numerous agricultural engines and road/steam rollers on display at the museum, as well as vintage vehicles, agricultural equipment and working horses. Worth a visit if you are in the South Lakes. Would it be fair to assume that there are possible contractural issues involved in the Leyland Cub project? It has all the hallmarks of possibly lawyers getting involved, in which case sadly it could all drag on for ages…..